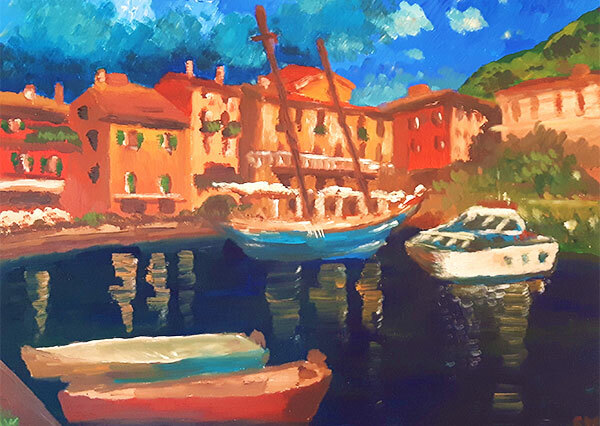 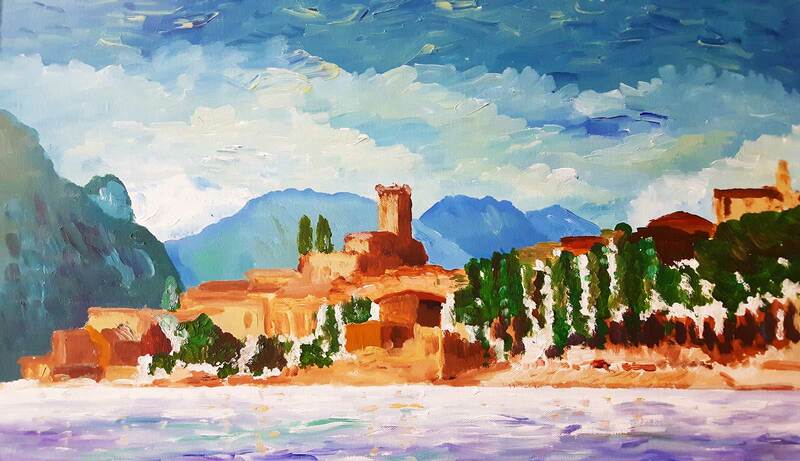 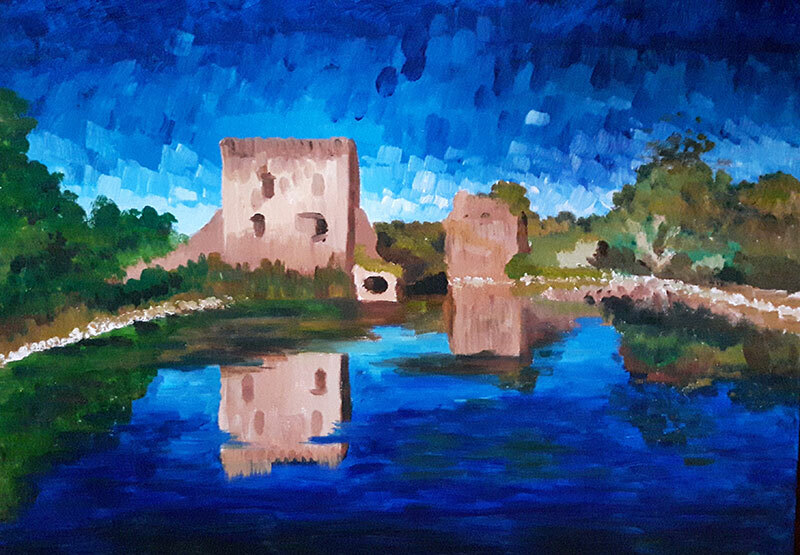 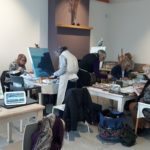 Greystones Art Group Featured Artist Lake Garda in Italy by Sinead Wyse. 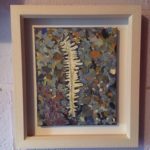 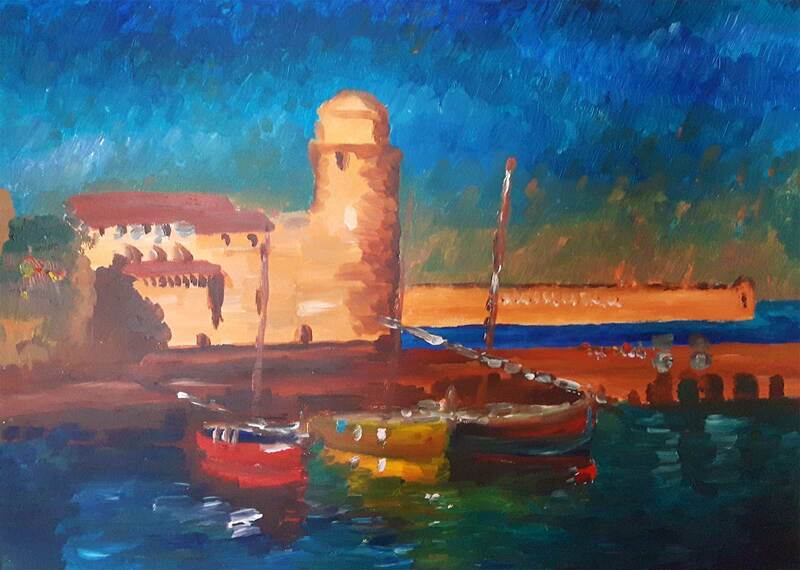 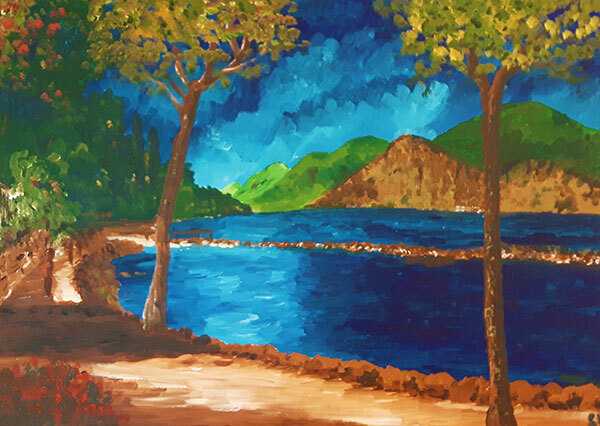 Check out more great painting from Sinead on our Greystones Art Group Featured Artist page. 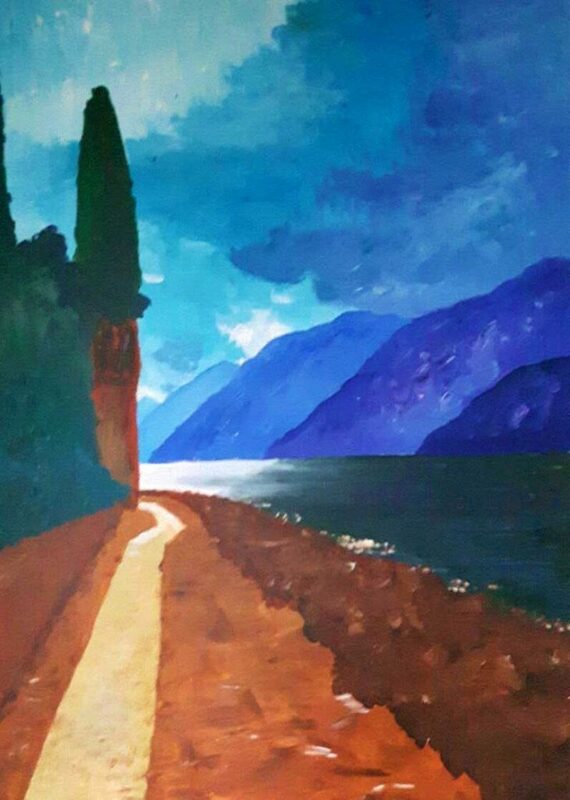 Malcesine, Lake-Garda, Italy by Sinead Wyse. 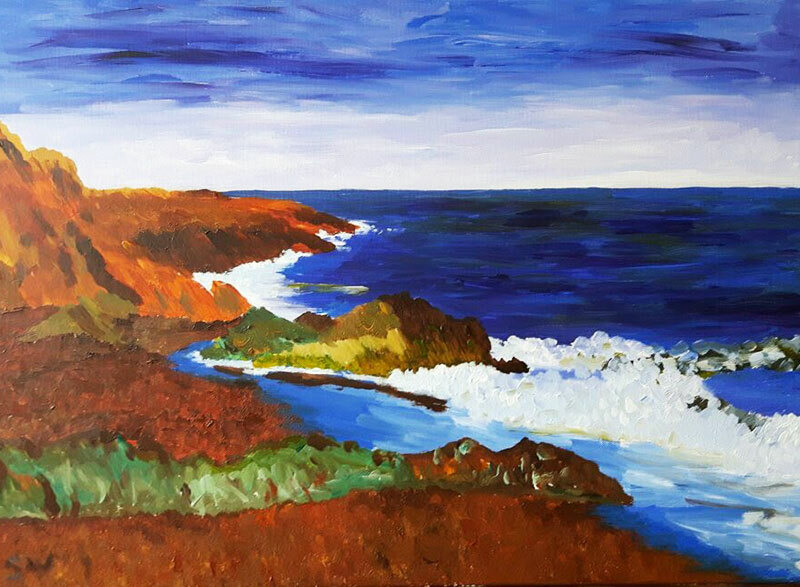 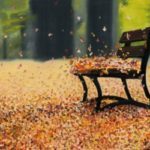 See more work by Sinead on our Featured Artist Page. 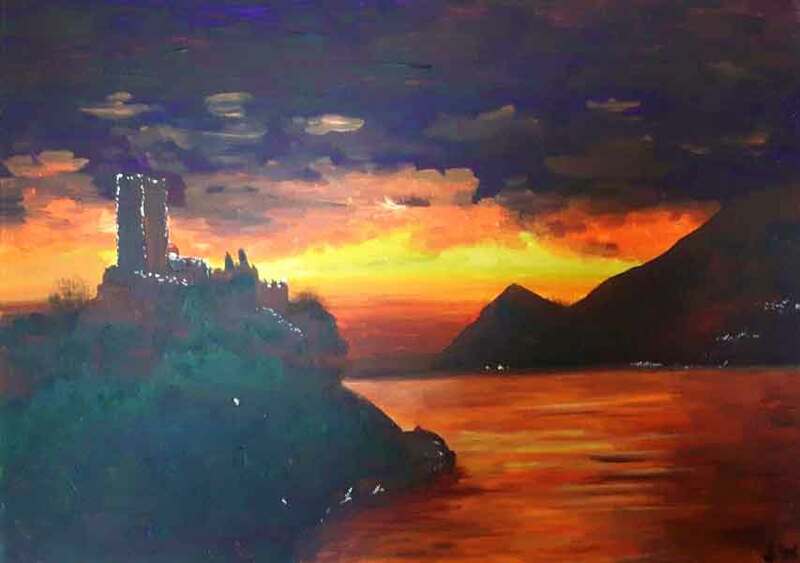 Sunset on Lake Garda is inspired by Sinead’s frequent visits to Italy.